Our KAG Food Products dispatch team in Hope Hull, AL received many thanks from Ventura Foods for our team effort to aid with recent hurricane relief. The KAG team arranged to pick up five five-gallon pails with lids from Valdosta, GA and deliver to Baldwin, LA. The lids and pails were used to pack 15 different assortments of supplies that are being used for flood relief clean up in North and South Carolina. 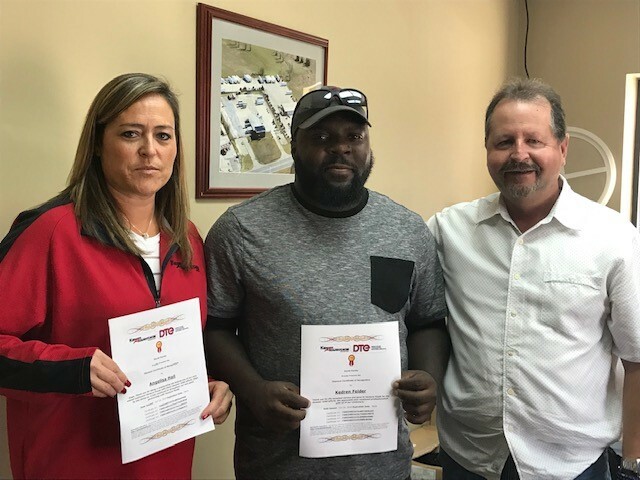 Thank you to Dispatcher Ange Hall, Driver Kedren Felder and Terminal Manager Dave Parillo for going the extra mile to help others!